I was very impressed with the construction and welding. I had to use 2 spacers per side to obtain clearance due to the housing being recessed where the skids mount. The width of the spacers are about 1/8” too wide. I was still able to use them. I just cranked the bolts down and they eventually flattened the housing slightly without issue. Not a perfect fit, but worked none the less. I look forward to the next batch of snow (I’m sure no one says that!) 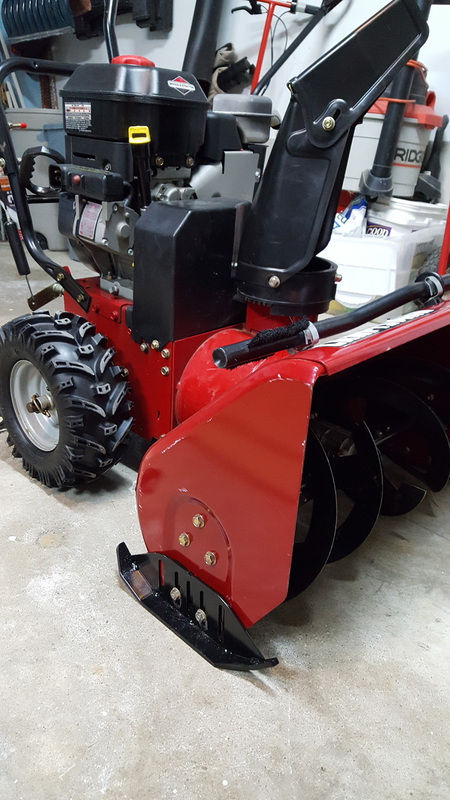 so I can not worry about my snow blower catching on the uneven pavement anymore. Great product and concept. Wish they were around years ago! I am including some pictures of the install for your reference.